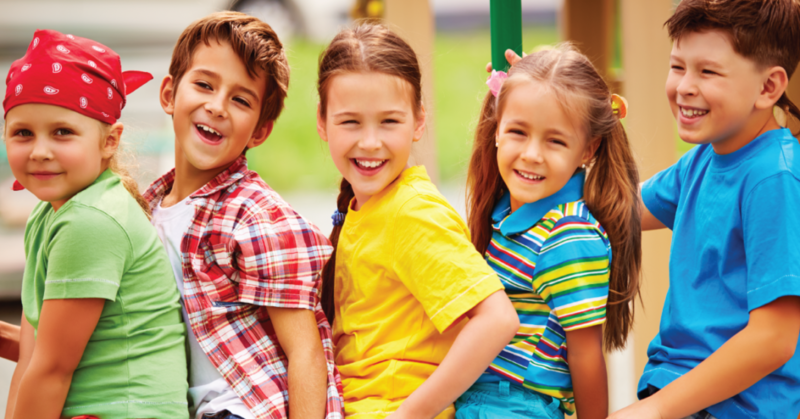 Looking for Metro Vancouver summer day camps that will spark your child’s imagination, sense of wonder and adventure? We’ve rounded up some of our favourites in our annual Summer Day Camp Guide below. This year’s top picks include Sole Girls, Pedalheads, Pear Tree Education, YMCA, Dancing With Life, Ava Music, Well Fed Studio, Vancouver Young Actors Studio and Canada Learning Code. Once you’ve registered for camps, remember to order labels so that your kids’ stuff comes home each day! To get you all set, we’re excited to introduce you to Vancouver-based Emily Press Labels. 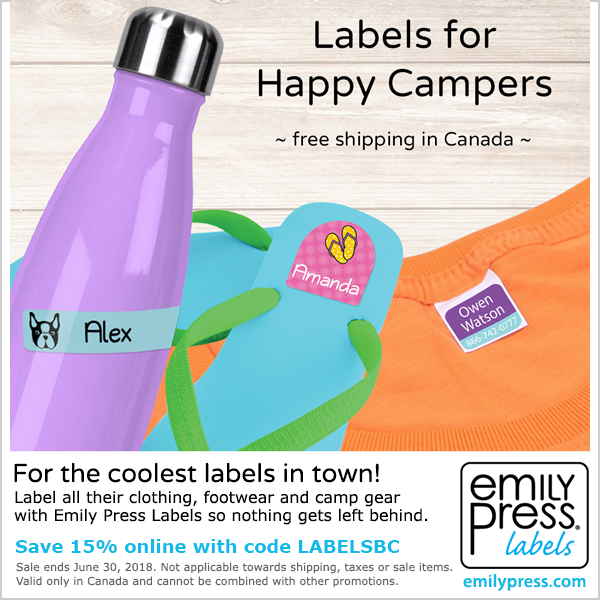 Their amazing Day Camp Labels are peel & stick to make it easy for jackets, shoes, lunch kits, bike helmets & other day camp stuff to return home again so you don’t have to re-buy. You can stick them on clothing tags and to all your summer gear – they’re waterproof as well as dishwasher and laundry safe! We use them on everything…even bikes, roller blades, sunscreen bottles, flip flops, soccer balls, and taekwondo gear. If you want to keep it…label it! One lucky winner will get a choice of summer day camp enrolment from the options in this guide (up to $499 value! ), plus an Emily Press Labels prize pack ($77.95 value). The giveaway runs May 3-17 on the Healthy Family Expo Facebook Page. Good luck & happy camping! Why They’re Awesome: Pear Tree Education’s camps are fast becoming among Vancouver’s most popular, both because of the quality and diversity of their programs. 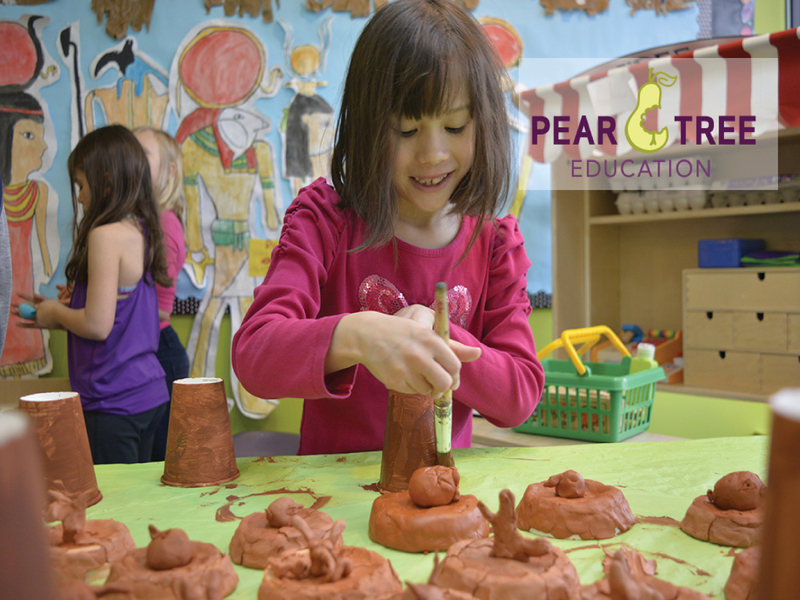 Pear Tree provides diverse course types engaging children in new activities, including cooking, sports, dance, public speaking, technology, arts, and academics. All of their courses are taught by school teachers, and you can’t beat that for educational summer camps! Facebook Prize Option: One week of summer day camp ($250 value), plus an Emily Press Labels prize pack ($77.95 value). Why They’re Awesome: Pedalheads offers learn to ride bike camps for kids aged 2 to 12 – everything from getting the little ones going on their balance/run bikes, to taking off training wheels & teaching kids to ride independently on two wheels, to upper level classes and actually teaching your children how to ride safely on the road! Pedalheads also runs Multi-Sport Camps, Mountain Biking Camps and once-a-week or week long Swim Lessons for kids 4 months and up. Facebook Prize Option: One week of mountain biking camp (half day option) ($219 value), plus an Emily Press Labels prize pack ($77.95 value). Why They’re Awesome: Canada Learning Code camps are designed to help kids who love technology become creators & not just consumers. And each camp week also involves unplugged activities and mid-week field trip to a nearby tech company! At Webmaking Camp, kids work in teams to design websites for causes they’re passionate about. Gamemaking Camp allows kids to create their own digital game to play and share! Budding entrepreneurs will love Entrepreneurship Camp, and at Digital Design Camp kids use their creativity & design skills to give companies branding make-overs! Facebook Prize: One week of summer Webmaking Camp for girls (value $395), plus an Emily Press Labels prize pack ($77.95 value). 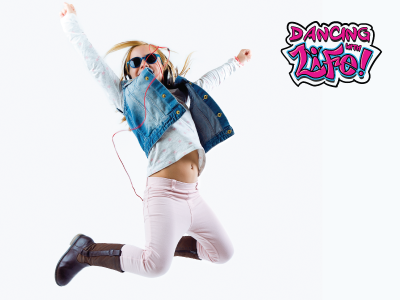 Why They’re Awesome: Dancing with Life brings the summer dance party! A camp for girls ages 10-15 that helps support them feeling confident in who they are, trying new activities such as dancing, yoga, creative writing and goal setting, nature exploration, games, ultimate frisbee and trying new activities. This camp is about having a fun summer experience that creates healthy friendships, positive mental, emotional support systems and helps tween and teen girls navigate life in a fun, positive, playful way! Facebook Prize Option: One full week of summer camp ($300 value), plus an Emily Press Labels prize pack ($77.95 value). 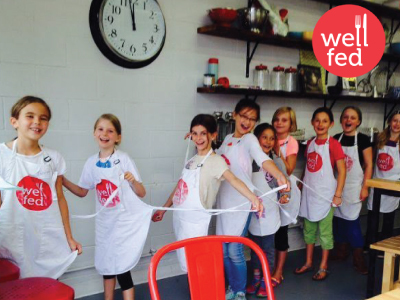 Why They’re Awesome: Well Fed is excited to bring back their very popular Summer Kids Cooking Camp. A whole line up of fantastic new recipes await…menu coming soon! Spaces fill up quickly so book early. Well Fed’s goal is to get kids cooking from scratch – something they consider to be an essential life skill. At their studio they teach hands on technical skills in the kitchen from qualified instructors in a safe & fun environment. Each Day of camp focuses on a new skill and adventure in the kitchen, and all of the food prepared in the class will be eaten for lunch that day. No need to pack a lunch! Class sizes are small, and camps run 5 days from 9 am – 1 pm. Facebook Prize: One week of summer cooking camp ($398 value), plus an Emily Press Labels prize pack ($77.95 value). Why They’re Awesome: These amazing Acting Camps are open to all experience levels! They offer fun & challenging weeks where students develop the confidence and knowledge needed to take the next steps in the acting industry or just a great way to try something new and have fun. All camp instructors are all currently working in film and television. Some you’ll recognize from Once Upon A Time, Project Mc2 and What’s up Warthogs! Beginners learn the foundations of on-camera and voice-over auditioning, while advanced students take their craft to the next level, giving them that extra edge in future auditions. Facebook Prize: One week of acting day camp – all experience levels (value $499), plus an Emily Press Labels prize pack ($77.95 value). Why They’re Awesome: YMCA Camps help kids build confidence, leadership skills and environmental awareness through its wide range of day and overnight camps. Also, the YMCA runs several specialty camps which focus on a variety of interests including golf, outdoor adventure and leadership development. 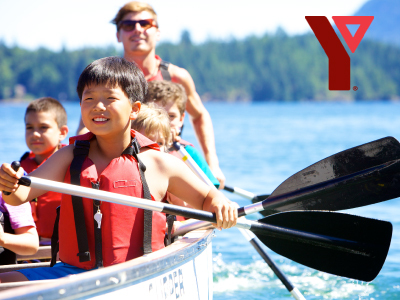 YMCA’s day camps are offered at over 20 locations throughout the Lower Mainland, Fraser Valley and Sunshine Coast, and its overnight camps take place at YMCA Camp Elphinstone located on the Sunshine Coast. Facebook Prize Option: One week YMCA summer day camp (up to $155 value), plus an Emily Press Labels prize pack ($77.95 value). If you’re looking for vibrant summer camps where kids can explore their creative potential while meeting new friends, Ava Music & Art Centre has you covered! Founded in 1995, Ava Music is an international and award winning Music & Arts studio on the North Shore. As well as providing high level music training for aspiring professional performers, they also offer full or half day camps focused on music, film, dance & art for children of all ages and abilities, with a special digital music and songwriting camps for teens. 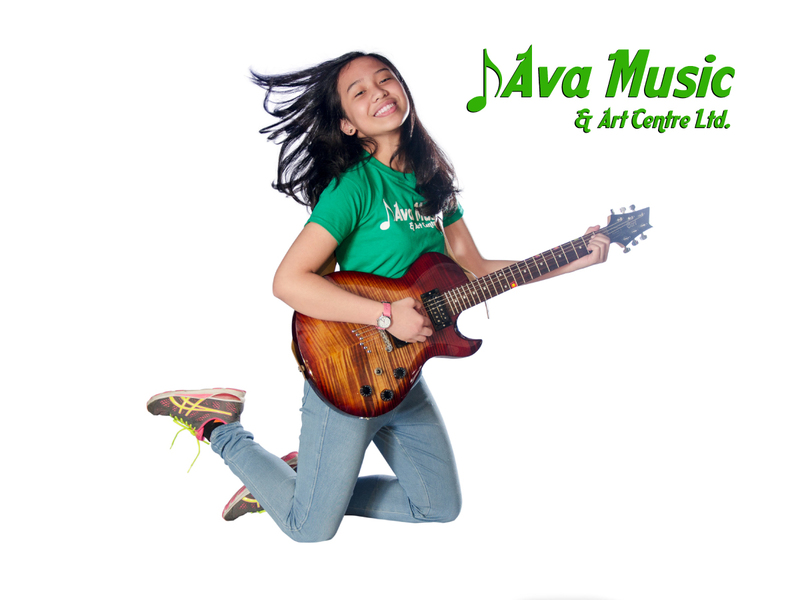 Whether you are new to music or an experienced young artist, Ava Music & Art Centre is the place to be this summer! Facebook Prize: One week of summer half-day camp ($199 value), plus an Emily Press Labels prize pack ($77.95 value). 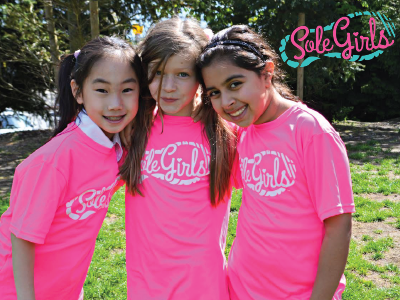 Why They’re Awesome: Sole Girls camps combine empowering games, powerful discussion and fun, inclusive physical activity to build confidence and learn tools to help them thrive! Girls learn life skills, how to navigate friendships and frenemies, make values based decisions, and being healthy in a safe and interactive environment. They will also learn physical literacy, fun movement and goal setting as part of an active lifestyle. Camp includes Sole Girls water bottle, running games, activities, yoga, hiking scavenger hunts, cheering and dancing. Release your inner awesome at Sole Girls! Facebook Prize Option: One week of summer day camp ($375 value), plus an Emily Press Labels prize pack ($77.95 value). I think my daughter would love the Vancouver Young Actors Studio Acting Camp most because she loves pretending and acting! My son would love the Acting Camp or YMCA Summer Camp. Both look amazing! I think my stepson would most like the YMCA Summer camp! I have twins. So many great ones to choose from. I think my girls would enjoy the music one, dance one, cooking one and acting one. My children would love to go pedalheads biking camp. They love riding their bikes. Pedalheads for both my girls, one is at that age where she maybe taught to bike withoutbtrainung wheels and the other is at an age to learn road signs and safety. My older son would love the technology/webmaking one or Pedal heads for my younger son! My daughter would love to try the Well Fed camps! I would love to have my daughter go to Pedalheads Bike Camp! My daughter would love Solegirls or Peddleheads and my son would love Pedalheads! They all sound so great! I think my daughter would particularly love going to camp at the Vancouver Young Actors School. My oldest son would really benefit from the ymca camp, learning leadership & building confidence would be so wonderful for him. He turns 10 next week & I feel this camp could really help him come out of his shell! My daughter would love the music and arts camp! She’s always singing and making up songs for us! My son would love the AVA music or dance camp. We love to be able to send our LO to a leadership camp. She also loves ymca camps. Pedal heads would be a new experience for her that I’m sure she would love! My daughter would love the well fed camp. She loves cooking! My daughter would love the Sole girls camp and my sons would love Pedalheads camps! Pedalheads Bike Camps would be great for my preschooler. I have no idea how to teach her to ride so a camp for her would be great! My boys would love the Pedalheads camp! My daughter would go crazy for the well fed camp. She is always asking to cook and would love to spend a week learning how. My oldest would love the pedalheads camp! I’ve heard a lot of amazing things about their program! The YMCA camps look exciting too! They all sound amazing though. Pedal heads or the ymca summer camps she loves adventures , biking and mKing new friends. My son would love either the Wellfed cooking camps or the YMCA camps! My girl is 3.5 years old and still afraid of riding her tricycle. Pedalheads Bike Camps will be the perfect for her! 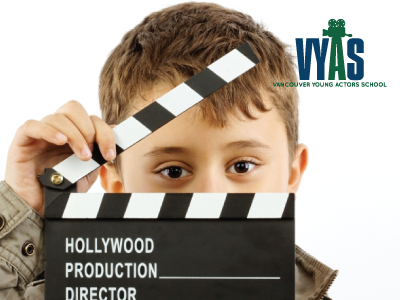 I think my son would LOVE the Vancouver Young Actors camp! He loves expressing himself through different forms of art! I love it! My son would love to go to the Well fed camp! So fun. What a great variety of summer camps. I think my daughter would love to attend any of them, but in particular, the Vancouver Young Actors camp stands out as one she would love right now. My kids would love Well Fed camps! Budding chefs… they also enjoyed Pedalheads in the past. Pedalheads would be great for my almost 4 year old. Out biking this summer are part if hus plans so pedalheads fir sure. 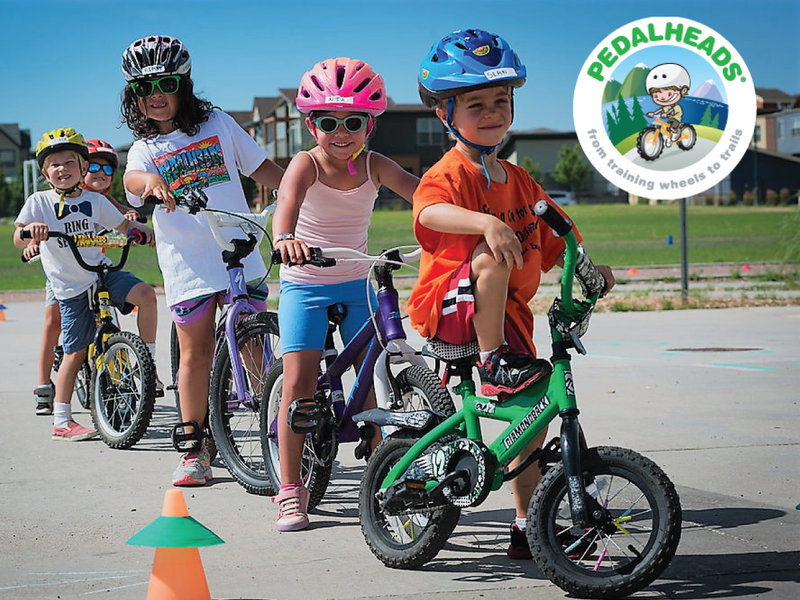 My kids would love the Pedalheads camp because their age range is 3 & 8 so both of my kids can learn about bike/road safety while meeting new friends that are really learning to ride bikes in a safe and fun manner. Our son loves PeddleHeads and we would love to put him into another camp for it this year! Gotta get those training wheels off! My 7 year old daughter would love to attend the Pedal heads bike camp this summer to boost her self-confidence on the bike! My son is a brave bike rider so I would love him to go to the pedal heads this summer! My kids would love Pedalheads! They have been wanting to go biking every day when it’s sunny outside! My son would love Pedalheads! My son would love pedalheads camp in Surrey. My daughter will love to go to pedal head!! There she will learn ride bike. For me have been so difficult to teach her! My daughter would love to try out one of the YMCA summer camps!!! I would choose the Pedalheads camp for my 8 year old daughter! She would love to learn how to be more confident on her bike and it would mean we could go on family bike rides! My son, age 4, would most enjoy the Pedalheads Bike Camps, Vancouver Young Actors Studio Acting Camps, or the Ava Music & Art Centre Interdisciplinary Camps. He’s done Pedalheads before and it was great so I think we’d like to give him the opportunity to try either the acting studio or music & arts as he’s a very outgoing and passionate kid. This is such a wonderful prize!! There are some great camp options! I think Sole girls would be so good for my daughter. She would enjoy the well fed camp too, she is always asking to help prepare food. My son would love the YMCA camps. He’s still too young for most. Pedalheads for my son and one of the artistic/creative camps for my daughter. So hard to choose! I’ve been wanting to sign my daughter up for Pedalheads after hearing great reviews from a friend! She’s 8 and still sooooo nervous about 2 wheels. My daughter would love to go to Pedal Heads camp and learn to ride a bike like her big brother! My daughter would love the Well fed studio Cooking camp because she loves to create dishes! My son will be interested in joining pedalheads bike camp because he enjoys biking everyday with his dad. My boy absolutely love the peadalheads camp. My son would love pedalbeads. He wants to learn how to ride a bike and has been asking us to teach him. My daughter would love the Pedalheads bike camp. She’s loves riding her bike and has been wanting to learn how to ride without training wheels. Her biggest goal right now. Solegirl-my dtr would be thrilled! My daughter would love sole girls. I think my little would enjoy the YMCA day camps as he loves being outside. Fed camp! We love their meals and they do one of our hot lunches every month at school. The chicken noodle soup and focaccia is her favourite!